Brutus has recently discovered honey mustard and will eat just about anything so long as he can dunk it in some. This is a good thing for Brutus since he’s such a picky eater. Bless his heart, he’s usually the one left at the supper table who can’t get up until he eats the agreed upon minimum. The deal in our house is this… you have to try it but you don’t have to finish it. If you don’t like something that’s served you don’t have to eat it but you do have to eat one of two things: all your protein or all your green vegetable. Starches are off the table in this negotiation. Anyway, now that Brutus likes honey mustard and therefore pretty much anything that’s dipped in it, suppertime has gotten a lot more enjoyable for him. So guess what I had to do? Figure out how to make it! My first few attempts were epic fails. 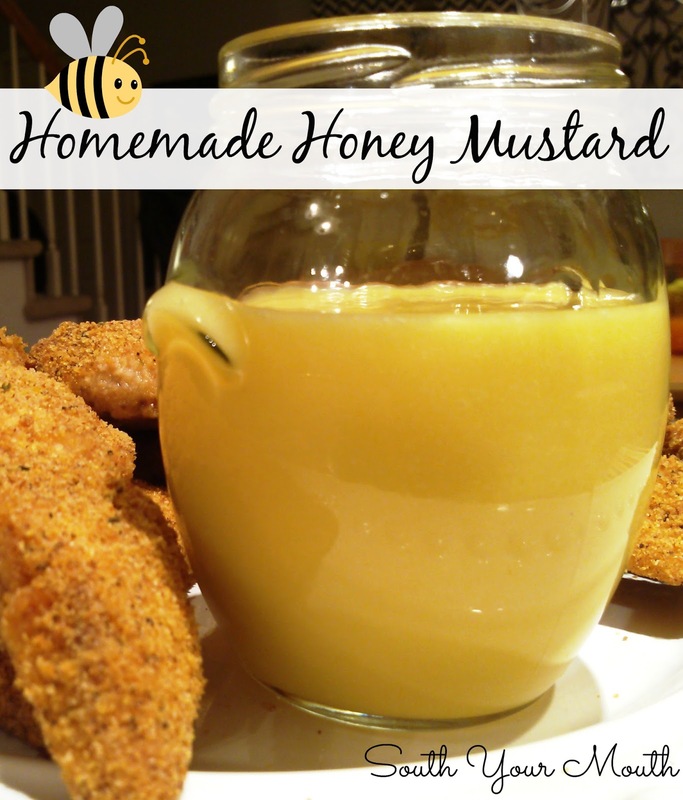 Contrary to what one may think, honey mustard is a lot less to do with honey and mustard and a lot more to do with mayonnaise. Which probably explains why everyone loves it so much. Bad for you as she may be, some foods wouldn't be worth eating without it. I mean seriously, would you ever eat another tomato sandwich if you couldn't have mayo? Or at least Miracle Whip [shudder]. I also figured out how to make homemade Shake & Bake! That’s what I used to make the chicken strips sitting next to the honey mustard in the photo. Combine all ingredients together and mix well. Refrigerate to store in an airtight container (use expiration on mayo as guide to shelf life). I like to use spicy mustard in mine.